This is the Obligatory New Year Post..
Last Year I thought of making some Resolutions..
After a lot of Confusion.. I came up with a Solution..
That I would resolve the World's biggest Botheration..
May be solve the problem of Pollution..
Or Stop the practice of Prostitution..
And Like Anna lead them on the next Revolution.. Try and work towards Increased Knowledge Adoption..
And help people with their habit of Alcoholization.. But with such high Aspirations..
You also need some kind of resource Allocations..
And due to the lack of Appreciation..
And a lot of Persecutions.. 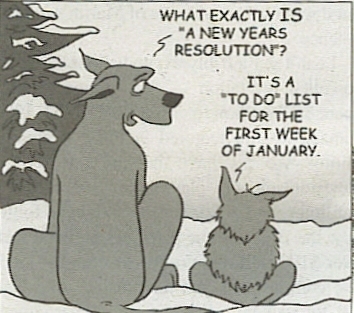 The Resolutions... would never reach up to Execution..
And all of them ended in Cancellations.. So on this new day of Celebration.. It's time again to put ideas into Conceptualizations ..
Hopefully this year the idea would see the light of Inception..
Until then..All we can do is work towards their Culmination..
Shrijeet: "Ya I know, I don't and also shouldn't try my hand at Poetry". Dead Poets turning in their graves: "Buahhahaa... You call this Poetry.. Buahahhaaa.."
Shrijeet: "Don't worry .. Not going to make this a habit.. I promise.. Pakka... Saraswati Vachan.. (I think)"
It is nice to see someone who is as poetic as I am ;)Pun intended. Your poetic abilities are too cool...:D....go ahead write some more:) Dude...I feel saare jahan ka sense of humor tere mein hai!!8)haha. Blessed u are I should say! I have no idea about Poetry :( ..
A Sign from the God's ?